DO YOU NEED A NEW STATIONHOUSE? Safeway Buildings Company (SBC) is here to help. Our buildings are strong and dependable, just like your firefighters. Some of the unbeatable advantages of SBC’s metal building systems are flexibility of design, durable construction, lower initial and life cycle costs, speed and ease of expansion. 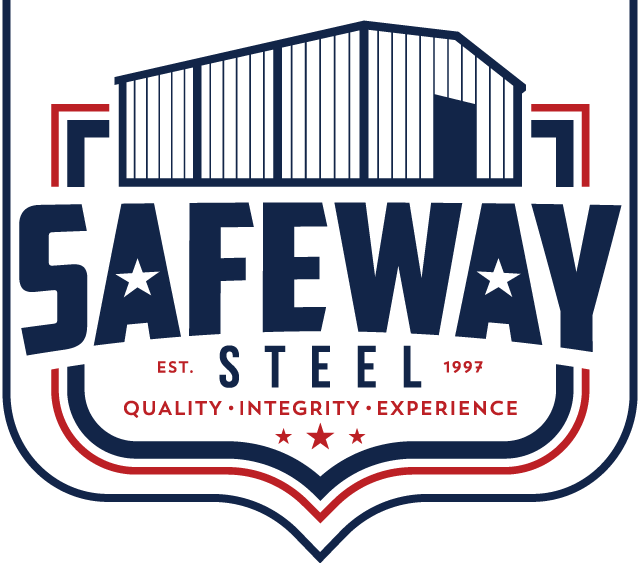 Safeway Steel Buildings Company provides a versatile building solution. Our buildings can range from the basic to more sophisticated look and use of materials, while still providing quick turnaround of product and delivery. SSB uses advanced technology and design techniques to lead the way in building systems. SSB’s building systems can be combined with traditional materials such as brick, stone, glass, or wood to meet any appearance requirement, while SSB’s technology dramatically shortens design, fabrication, and onsite erection time for major cost savings and faster occupancy. You can choose Silicone-Polyester sheeting wall or roof panels or coated with SmartSteelKote® PVDF. Both feature durable finishes that resist fading, extend the life of the structure and lower your energy costs. SSB’s roof and walls panels, offered in 8 great colors, feature a 25-year finish warranty. SmartSteelKote® finishes, available in a range of colors, can be warranted for an SBC metal standing seam roofs are offered with 35-year weathertightness warranties.